Heavy gauge welded structural steel construction. Designed with leveling feet that allow stand to be anchored to floor. 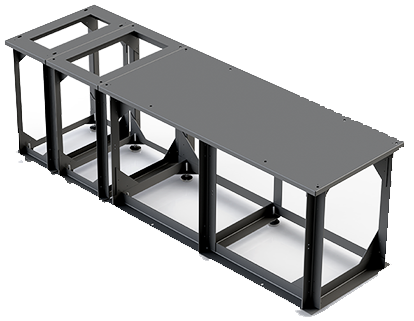 Floor stands are designed to allow side by side or back to back installations of eqiupment. Anti-vibration pads are avialble for CRAC and CRAH units. 6 stage pre-treatment and powder coat finish provides excellent protection when used with air conditioning units.